A naive person might think that the miles earned on the Barclaycard Arrival(TM) World MasterCard® – Earn 2x on All Purchases are worth 1 cent each. After all, you can use 2,500 Arrival miles to knock $25 off the cost of any travel purchase. Last week, Bill said on this blog that Arrival miles are worth 1.14 cents each. After all, you earn 2 miles per dollar on all Arrival card purchases, even the ones that you later remove from your statement after an Arrival-miles redemption. Yesterday the Frequent Miler asked What is the Barclay Arrival card’s rebate really worth?, noting Bill’s post and a reader email as the catalysts. The Frequent Miler’s conclusion was that Arrival miles are worth 1.1 cents. What’s my take? How much are Arrival miles really worth? On every redemption, Arrival miles are indeed worth 1.14 cents. It is impossible to redeem all of your Arrival miles for travel. Because of the 10% rebate on all travel redemptions, your account will always have miles in it. The minimum value you’ll get from your Arrival miles over the life of your account is 1.07 cents. You’ll get closer to 1.14 cents per mile of value the more you use your card, and most people should use their Arrival card a lot. Let’s go through those three points. 1. On every redemption, Arrival miles are indeed worth 1.14 cents. Suppose you have 35,000 points and you want to get a $350 hotel stay for free. You would simply pay for your hotel stay with your Arrival card, and then log into your account to redeem 35,000 points for that purchase. Now, two things happen: 1) You earn your 10% rebate on points used = 3,500 points; and 2) You earn points for the $350 purchase just as you would any other time: $350 x 2 points per dollar = 700 points. So, after your “free” $350 hotel stay, you will have earned back 4,250 points. In other words, your net loss of points is only 30,750 points. And, since you got $350 worth of travel from those points, we can calculate the value per point: $350 / 30,750 = 1.14 cents per point. If you meet the minimum spending requirement of $3k in the first 90 days, you will have 46k Arrival miles. Don’t forget that the rumor is that the spending requirement is set to triple very soon. That’s the 40k bonus miles plus 6k miles for spending 31k since every purchase earns 2 miles per dollar. With 45k miles, you can do a $450 travel redemption for 45k miles. You’ll immediately get 4,500 miles back as a rebate. Now you have $450 in free travel and 5,500 Arrival miles. You can redeem 5k miles for $50 more in free travel. You’ll get a 500 mile rebate. Now you have $500 in free travel and 1k Arrival miles. Those are not enough to redeem anymore, since the minimum redemption is 2,500 Arrival miles. The sum is $500 in free travel on 46k earned miles. That means getting 1.09 cents per mile on the miles earned. This number would be higher if not for the now-orphaned 1k Arrival miles. 3. You’ll get closer to 1.14 cents per mile of value the more you use your card. The simple solution is not to orphan so many Arrival miles relative to the total earned. If you keep putting lots of your regular spending on the Arrival card, you’ll orphan a very low percentage of the miles you earn and the value of the miles you earn will climb closer and closer to 1.14 cents. The Arrival card is rare in that you earn 2 miles per dollar for all purchases–even purchases that you later remove by redeeming miles to offset the charge. That extra 2 miles per dollar adds value and takes the maximum possible value of the miles from 1.11 to 1.14 cents. But if you leave Arrival miles in your account when you close the card, they disappear worthless. The certainty of orphaning some miles makes the value of all the miles you earn less than 1.14 cents. The more you spend on the card, though, the closer you’ll get to 1.14 cents in value for all the miles you earn. Earn 40,000 bonus miles when you spend $3,000 or more on purchases in the first 90 days from account opening. 40,000 bonus miles equates to $400 off your next travel redemption! I was looking at the Barclaycard Arrival on their website and they are already advertising the 40k after $3k/first 90 days! Glad I got mine months ago.. but was really needing to sign my boyfriend up this churn! grrr! Thanks for letting me know! Updated to reflect the bad news. So can summarize by saying that this card offers a 2.28% discount on travel that is purchased with this card? Not quite. OR at all. If you use the card for everyday spend, you’ll get much better than that. My wife and I covered 100% of our tickets and hotel rooms at Disney World with the card. Far more than 2.28% of our travel expenses. And can I just say…why the confusion on this card? It’s great. $1000 minimum spend for $440 worth of free travel is pretty awesome. It’s flexible too. You may not fly in first class to Bora Bora with it, but it’s an incredibly effective tool for various travel needs. No, it offers 2.28% back TOWARD travel on ALL PURCHASES. 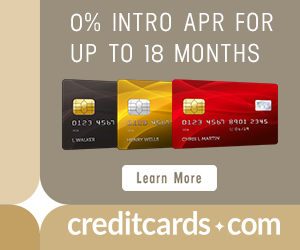 Ok, let me put it this way: All purchases on the card provide a 2.28% redemption credit for travel purchases on the card? I can get behind that explanation. That sounds right. I think you make an interesting point. It’s less about what the values are worth, which depends on how you use it, and more about what you get every time you use it. I think the professional/super serious miles & points types think this is too boring of a card. . What I mean by that is that it doesn’t do some of the crazy multipliers/bonuses that other cards like the Ink can do. You just get 2.28% back every time you use it, to be used later on travel. Any type of travel. And your Free Credit score (Not a FAKO). Also, to Tony’s point below, this card is designed for a constant drip drip of points that makes it hard to leave. And I don’t think I will. Free credit score and 2.28x towards travel is pretty solid. what the miles are worth. Not the values are worth. Yes. I would say the card offers 2.28% back TOWARD travel on ALL PURCHASES. All splitting baby hairs here. Is this all they can figure out? Good grief. And the sign up requirement already increased. The card is deisgned to incent continued regular spend and continued redemption for travel… Not many cards have been designed this way in the past. It encourages you to spend and to contually redeem cash travel costs. If you have a lot of regular travel expenses that can’t be covered by an airline mile or a hotel point, this card is great. Almost all travelers do, but not many people seemed to have thought in those terms before. The question is would you rather put 20,000 of spend on this card vs 20,000 of spend on a Freedom, Sapphire, PRG, Starwood Amex, United Card, whatever. That all depends on how each individual values the mile currency they are earning. But given that everyone has travel expenses that can’t be met with miles, the card seems to have a use for everyone. Agree with Anthony. It might not be the “end-all” card but every serious traveler must have it in their arsenal. Resort fees, fuel charges etc… the uses are endless and perhaps THE most flexible while also garnering credit at whichever vendor where it’s used. Oh yes, for most of us, this card is one that complements other cards well. It is not an “end all be all” card for most people. I think that’s a fair assessment of the value of the card. We all have travel expenses that can’t be met by miles-earning cards. However, we need to think about what the cost is for deferring everyday purchases from a miles-earning card to the Barclay Arrival card, in order to cover these expenses. For example, I’d need to spend approx. 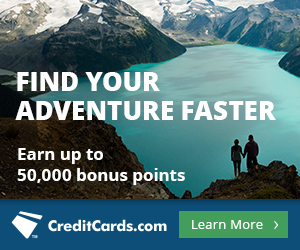 $44,000 on the card to earn $1,000 in travel redemption credit. Are there better cards to spend $44,000 on? In my case the answer is clearly yes. My Amex Blue gives me unlimited 5% cash back on gas, groceries, drugstores (no annual fee), Ink Bold gives me 5x miles on gift card purchases at office supply stores (anyone here fly Southwest?) and Amex Gold provides 3x miles on airline purchases (they’ve waived my annual fee for several years now). And that same $44,000, if spent on the Chase Sapphire, would yield almost enough miles for a roundtrip transatlantic flight on numerous airlines, worth more than $1,000 IMHO. We all need to layout some cash for various travel expenses……so the question is whether the cost of deferring significant expenditures from mile-earning cards to the Arrival card, is it worth it? Meh. Not worth the bother. I’ll use SPG for regular spend and gin up significantly more CB using other cards. If you don’t have those other cards, the questions is why not? Just a heads up that the increase to $3k minimum spending happened this morning! I got in right under the dot. The large majority of my spend is outside of gas, groceries, and office supply stores, so I don’t get these large bonuses. More of my spend is in dining, restaurants, and general non categorized spend. I use the Freedom when I can on bonus spend and either an Arrival or PRG with anything else. Yes, I think most people spend most of their money outside bonus categories. (That’s by design on the banks’ part.) That makes cards with great rewards on everyday spending very valuable. CSP earns 2UR/$1 for dining purposes, which may be better for you depending on which kinds of awards you redeem. The value of redeemable miles on flights paid with the Arrival card is already built in to the calculus of my example, so you can’t count that twice. Yes, the elite qualifying miles is a bonus, but you’d have to spend at least $100,00 or the Arrival card (to generate enough $ to buy $2,500 in airline tickets to get the elite miles) to achieve mere Gold status; possibly useful only for topping of your account. I’d love to be sold on the usefulness of this card, but I just don’t see how one can justify subtracting expenditures from SPG, Amex Gold, or Chase cards in order to instead spend on the Arrival with a 2.28% travel rebate! – Spend 10-15,000 annually on whatever miles earning card you want. Not a bad arrangement. What is Boost? Don’t forget the $89 fee which brings your net cash redemption from $300 down to $211. The more you spend on the card, the less of an imposition the annual fee becomes; but like you, I wouldn’t want to divert spending from other cards. It seems to me that the Venture card offers the same deal but you don’t have to redeem in 2500 point increments. Am I correct in this assumption? No, it offers 2% back, which is significantly worse. And you don’t “have to” redeem Arrival miles in $25 increments. You can redeem for the entire cost of a travel expense OR in $25 increments, whichever you prefer. 1.11 or 1.14? Who cares. Really, it’s only a few dollars. This post doesn’t address The Frequent Milers point about never being able to zero out your balance. Since there is a minimum redeemable amount, there will always be unusable points. This needs to be taken into consideration. “That’s the 40k bonus miles plus 6k miles for spending 31k since every purchase earns 2 miles per dollar. I think the real beauty of this card is its’ use on some high end properties that you would never be able to use points or miles for………Relais and Chateau comes to mind…………and drug store manufactured spend 2X vs the 1.25X of SPG begins to work itself into the discussion……..This is a currency you want to have if you want to “always” travel free it seems………..